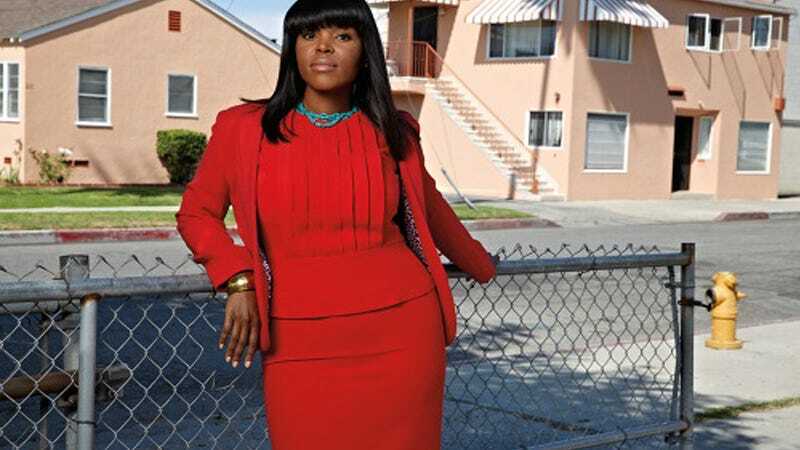 In July of this year, Aja Brown was sworn in as the new mayor of Compton, California. Now she's been profiled by Vogue. She went on to earn multiple degrees in urban planning and economic development, a bachelor’s and a master’s on a full undergraduate scholarship at the University of Southern California. Then, after a ten-year stint in urban planning and economic development in some of L.A.’s surrounding communities—including a prestigious post on the Pasadena Planning Commission—she decided to focus on Compton, a city badly in need of urban planning and economic development. There's much more from the Vogue interview here, including an adorable anecdote about how she met her (very handsome) husband, and more about Brown's vision for her city here.